Why this S.F. 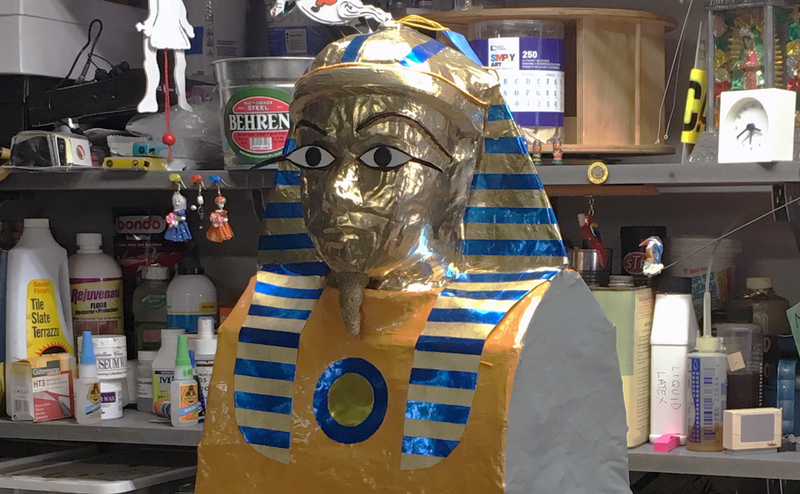 man's seder features a Pharaoh piñata – J. To say that retired San Francisco lawyer Al Rosen is a fan of Mexican folk art would be an understatement. The Inner Sunset home where he and his wife, Marcia, have lived for over 30 years looks like it could be the country house of Frida Kahlo and Diego Rivera. Nearly every room is filled with Mexican art, with decorative masks and other pieces adorning the walls, which themselves are painted in different hues; red earthen tiles lining the kitchen and bathroom floors; brightly colored Mexican textiles hanging in the bedroom; handmade rugs and pillows throughout; books on Mexican art, and a large wooden fish carving that Rosen picked up in Mexico City — meant to be worn — hanging above the bathtub. Mexican folk art is “about making something out of nothing,” Rosen said. It’s what inspires his own artwork. For the past 10 years or so, he has created colorful, sometimes wacky, sometimes politically tinged, always inventive sculptures for his family’s Passover seders. Every year Rosen makes a sculpture, diorama, wine label, party favor or other one-of-a-kind object to add color and creativity to the tradition. 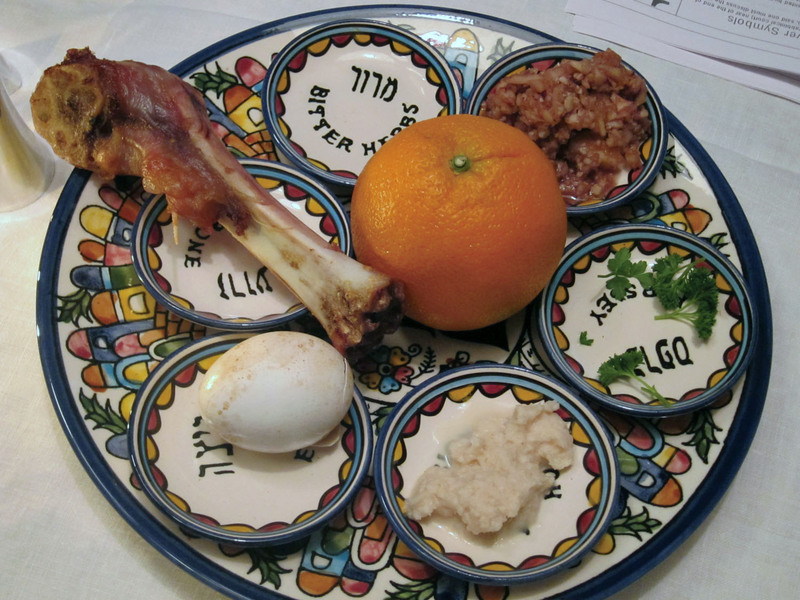 “I like to engage [seder] guests in imaginative projects,” said Rosen. They certainly will be “engaging” — quite actively — with his new seder piece: an Egyptian Pharaoh piñata. He credits his wife for coming up with the idea. 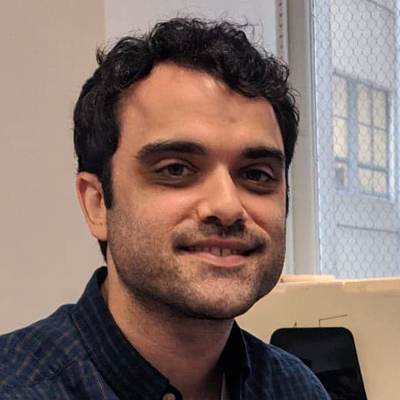 In his busy garage workshop, Rosen started by posting photos of an Egyptian Pharaoh’s burial mask on a bulletin board. Guided by the pictures printed off the internet, he used cardboard, papier-mâché, stiff mesh hardware cloth and split bamboo to help hold the piñata’s shape. “When I was largely done I realized that in order to get the forms that I wanted, I had to use materials that were very strong,” he said. But he worried that his grandchildren would have a hard time breaking the piñata open. So he added a relatively weak cardboard “store house” on the bottom, and, being the health food type, filled it with organic trail mix. I like to engage [seder] guests in imaginative projects. “The kids will be able to bust that open,” he said with assurance. Rosen retired three years ago after more than 40 years as an attorney for various federal government agencies, including 17 years with the Presidio National Park Service. Growing up on Long Island, he said, he was always drawn to tools and to making things with his hands. Over the years he’s built dioramas that visualize the Exodus story, often with a twist. After a trip to Ecuador last year, he built a scene in miniature, substituting native Ecuadorians for Jews, who were being chased by Spaniards as they ventured toward their Promised Land — the “EcuaDoor.” Instead of a desert, he built a volcanic jungle, and instead of camels, alpacas. Another year, Rosen built a mobile diorama modeled after a Mexican procession, where tiny figures — Jews and pursuing Egyptians — moved along a conveyor belt through the “Red Cs” (two large red Cs). “These things take a lot more time than you’d think,” he said. Some of the seder sculptures are pegged to current events. For one of his first Passover artworks, made during the 2008 presidential election year, Rosen built a diorama of Moses visiting the burning “Bush.” A clay Moses in painted robes is gesticulating at the Bush, made out of a tin can covered with a paper cutout of the then-president’s portrait. A small fire was lit inside the can, which did singe the photo a bit (since replaced). The most imposing, and largest, seder sculpture in Rosen’s garage workshop is a giant hand. It stands about 6 feet tall and is painted brown, with long cherry-apple red fingernails. It’s a depiction of the mighty hand of God which, according to the Passover story, brought the Israelites out of Egypt. Doing things a little differently is a trademark of Passover seders at the Rosen home. Marcia Rosen prepares most of the meal, which has a Sephardic twist. 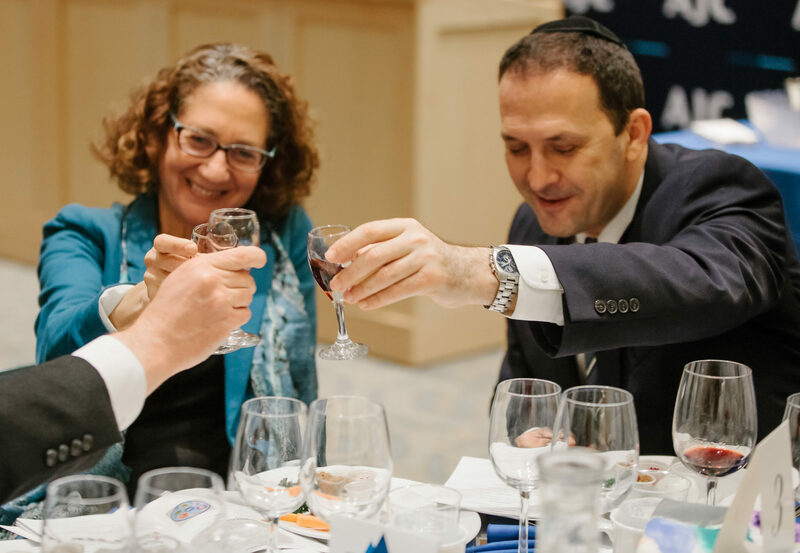 “I’m not Sephardic but I like Sephardic food better,” said the retired civil rights attorney. In addition to brisket and chicken, the menu includes Egyptian fish balls cooked in a tomato and pepper sauce with cumin and lemon, a vegetarian matzah lasagna, and a Middle Eastern orange and almond cake with puréed oranges baked in. After a decade of making Passover art, Rosen said he was aware his guests, who include his two daughters, their families and other extended family — will have high expectations. But he was confident this year’s sculpture would be a hit, particularly with his grandchildren. “This year’s going to be a lot of fun,” he said.